Famous Victorian novelist Anthony Trollope's biography. Anthony Trollope was an English novelist of the 19th century. Anthony wrote novels on subjects like politics, society, gender issues, etc. These topics were inspired by the ordinary situations faced by people in Victorian England. Anthony was born in 1815 in Bloomsbury, London. He was the fourth child born to Thomas and Frances Trollope. Thomas Trollope was a barrister by profession. He was also known to have a flaring temperament. This inadvertently affected his law practice. Thomas then tried his hand at farming. However, he faced disappointment here also. The last hope for the family to lead a reasonable life was now pinned down on the inheritance of an estate that would have come to Thomas from his aging uncle. Even this final ray of hope was diminished when his elderly uncle married again and even had children. Anthony did his education from Harrow School in 1822. He attended the school as a day-boy. Anthony went to this school as the Trollope family had owned a farm nearby. After studying there for three years, he took admission in a private school at Sunbury in 1825. He studied in this school for two years. For a brief period, from 1827-1830 Anthony went to the school that his father once attended and where his brothers were studying. This school was known as Winchester school. In 1830, Anthony again switched back to Harrow School. The family was now trying to sustain themselves on whatever was left. Anthony was shifted back to his old school in order to reduce the expense on his schooling. All the schools where Anthony was enrolled were extremely popular during those days. It was in these schools that the elite class sent their children to study. However, Anthony was never happy with the schools that he attended. He can be described as a tall, unhappy and properly dressed young man who got bullied all the time. In 1830, Anthony’s mother shifted to America to try and make a living in order to save the family from any future financial uncertainty. His mother went to the United States for setting up a bazaar. This bazaar was to be a place where one could sell British goods or commodities. However, this venture failed badly and the future of the family was thrown into darkness. The condition of the family deteriorated with each passing day. The Trollope family eventually disposed their property in England and moved to Burges in Belgium in the year 1834. By this time, Anthony’s mother had established herself as a writer. His mother had written a book ‘The Domestic Manners of the Americans’ in 1832. The book was based on her stay in America and the experiences she had during that time. This book became extremely popular in England. However, the Americans were critical of the some of the contents of the book. The burden of looking after the family’s expense was now mostly borne by Frances Trollope. In 1834 only, in order to support himself and learn foreign languages like German and French, Anthony accepted the job of an assistant master (usher) in a school situated in Brussels. During this time, he was offered the job of a clerk in the General Post Office. Although he worked as a clerk for almost years, he was not happy with his job. He now saw himself being in the same situation as he was in school. Anthony spent most of the time alone, as he hardly had any friends to meet or go out with. Similarly, he was facing financial crisis as he could not save sufficient amount of money. Things changed for better for Anthony when he was transferred to Banagher, Ireland in 1841. In Ireland, his job was that of inspection. He was very happy with his new job and the place. Anthony’s pay was also much better than what he got back in England. In Ireland, he involved himself in a sport like fox hunting. During his posting in Ireland, Anthony often travelled for work purpose to various places like Egypt, West Indies, America, Scotland, etc. In 1844, Anthony got married to Rose Heseltine. The couple together had two sons. Anthony’s career as a writer began in Ireland. In 1843, when he was still in Ireland, he started writing his first novel ‘The Macdermots of Ballycloran’ and it was published in 1847. His next book titled as ‘The Kellys and the O’Kellys’ was published immediately in the following year, i.e., in 1848. 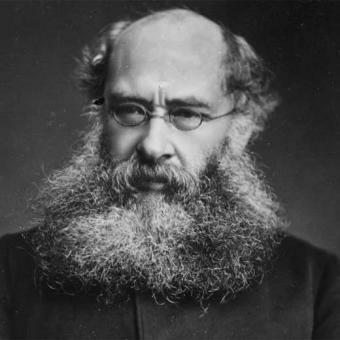 Anthony Trollope was best known for his five-novel series called Chronicles of Barsetshire. He even tasted his first success as a writer when his novel ‘The Warden’ got published in the year 1855. This novel was based on the lifestyle of the upper-middle-class society of the Victorian Era Britain. This was the first novel from the popular Chronicles of Barsetshire. The next novel in the series, Barsetshire Towers (1857) is regarded as his best comic work. Other novels are ‘Doctor Throne’ (1858), ‘Framley Parsonage (1861), ‘The Small House at Allington’ (1864) and finally ‘The Last Chronicle of Barset (1867). The Barsetshire novels were based on the incidences that happened in the fictional county of Barsetshire. Like the Chronicles of Barsetshire, Anthony wrote another series of novels called ‘Palliser’. This collection includes novels like ‘Can You Forgive Her’ (1864), ‘The Prime Minister’ and ‘Phineas Redux’ (1876) and ‘The Duke’s Children’ (1880). These novels focused on the socio-political matters that impacted the society during those days. These novels were later on adopted into TV series. The 1875 ‘The Way We Live Now’ has been regarded by critics as his best satirical novel. Another famous satirical novel ‘The Eustace Diamonds’ was written sometime between 1871 and 1873. Novels like ‘He Knew He Was Right’ written between 1868-1869 and ‘Phineas Finn (1869) show a different side of Anthony as a novelist. His other novel that was appreciated by his readers was ‘The Three Clerics’. In 1871, Anthony along with his wife travelled to Australia to visit their younger son who had settled there. During their voyage, Anthony penned down ‘Lady Anna’. Anthony spent a year in Australia enjoying its scenic beauty and relaxing. On his journey back home to England in 1872, he wrote another novel titled ‘Australia and New Zealand’. In the said novel, he narrated good and bad experiences he had whilst his stay in Australia. His novel, however, was subjected to criticism by the Australian people for portraying them in a bad light. From 1872 onwards, Anthony lived in England, his native country. He wrote his last novel ‘The Plumber’ in 1881. During the last few years of his life, Anthony was suffering from asthma and frequently travelled to different parts of England for recovery. In 1882 whilst enjoying a family reading at Garland’s Hotel, Suffolk Street, London, Anthony suffered a paralytic stroke. He passed away after a month of this incidence and was buried in the Kensal Garden Cemetery in London, England. In 1883 Anthony’s autobiography was published posthumously. In his autobiography, he has admitted certain things that resulted in lowering his reputation as a writer. However, his autobiography went on to become a bestseller. Here are some famous quotes by Anthony Trollope. Book love… is your pass to the greatest, the purest, and the most perfect pleasure that God has prepared for His creatures. I have searched a lot and while these are the TV adaptations of works by Anthony Trollope, Could not find any films based on his novels. 1951 BBC, The Warden. First BBC serial of a novel; 6 episode parts; the screenplay for first Warden was by Cedric Willis, Kerr, 14. For below 3, I could not find any videos or more info on BBC. 1974 Penrith, Malachi’s Cove, directed and written by Henry Herbert, starring Donald Pleasaunce, Malachi, and Veronica Quilligan, Malachi’s daughter, Mally. 2004 1 hour, BBC documentary, The Two Loves of Anthony Trollope, directed by Richard Downes, no attribution for a writer, with Stephen Frye as narrator. Here are some videos of adaptations that I could find.